EB-Camp Canada is goin' down September 29/30, 2018! Featuring Workshops, Panel Discussion, Battles and more! Why Adult dance class is good for you! MARRAKESH, Morocco — Under the yellow domed ceiling of the Theater Royal of Marrakesh, a small crowd cheered and watched in awe as champion break dancers from around the world battled, with head slides, freezes and kicks, in a competition streamed globally online. They were especially excited about the performance of Fouad Ambelj, a 24-year-old Moroccan prodigy who dances as Lil Zoo and who has become a worldwide sensation. To read the full New York Times article, click here. Troy Sexton is a dancer, drummer, beatboxer, teacher, motivational speaker and performer with high energy and a positive personality. At the age of 19, Troy joined the cast of the international percussion sensation STOMP. He was the youngest, and only Canadian performer in the history of STOMP. Through his tenure, he performed many roles on the show, including the lead performance role, and the rehearsal director for the company. Troy has performed with STOMP in countless countries all over the world for the past 10 years. Troy currently divides his time between performing in international STOMP tours and running his Rhythm Works business out of his hometown of Toronto. Recently, Troy has become involved in “BluePrintForLife” (Calgary, AB), award-winning social outreach group providing hip hop culture opportunities for schools and youth correction facilities. Notable TV credits include Dancing with the stars (Poland), So You Think You Can Dance (Australia), Much On Demand (Canada), We Day 2010 (Canada) Zoink’d (Canada, YTV), as well as music videos for artists Rich Kidd, The Used and USS. Troy’s infectious positivity and passion for dance is obvious as he inspires audiences to listen to their gut and do what they love. The Inglewood Night Market is a modern day market that occurs every second Friday in the summer months in Calgary Alberta. Each event hosts over 50 local vendors selling diverse goods from handmade craftsmen items to vintage clothing, antiques & collectibles, artisan eats & more! You’ll also find food trucks, singer songwriters, bands, dancers, outdoor seating, and other fun things to check out! Friday, June 9 - Beast Machine and Flomatk are performing! Drop by the Pulse Studios booth and check out the Beast Machine as they perform some of their best choreography. Calgary's HOTTEST Festival is Sunday June 3rd 2018 - the 29th Annual 4th Street Lilac Festival. This free one day event is the start up to Calgary's vibrant festival season, and encourages citizens to shake off their winter blues and reintroduce themselves to the thriving creative community in our city. 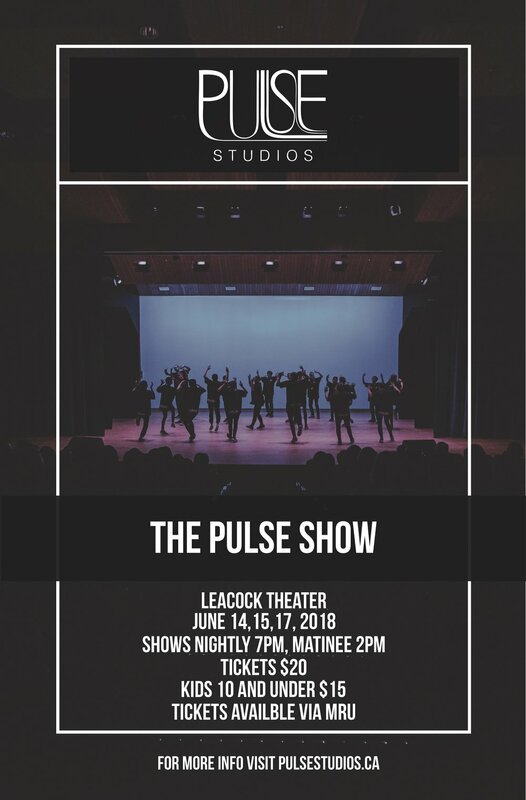 The Pulse Show 2018 TICKETS ON SALE NOW! ONE – A DANCE SPECTACLE promises an immense array of dynamic and visually stunning performances from some of Alberta’s most accomplished and promising artists. This exciting and unique presentation will showcase circus performers, tribal belly dance, theatrical pieces, Hip hop, Bollywood, Chinese Folk, Collaborative pieces, Contemporary, Salsa and many more. Like a jigsaw puzzle, the performances of this evening will piece together seamlessly, all the while portraying a beautiful relationship between and amongst different genres and cultures. This unique show full of fascinating works of integrated dance forms will provide an opportunity for audiences to extend their horizons beyond the boundaries of their own culture and experience other cultures of the world. For more information, check out the Facebook event group here. The Beast Machine is scheduled to go to the home of Hip Hop, NYC in 2019. The goal is to experience where Hip Hop was born and learn from the Pioneers. Come join us at the Black Swan Ale House for a 90s dance party! Tickets are only $20 and include an all-night food buffet - drinks are not included. There will be tons of dancing, oodles of food, thousands of laughs and a silent auction to help raise funds for the Beast Machine! To get your tickets, please email Tara at tara@pulsestudios.ca. Take advantage of the Pulse Studios Exclusive and snag your discount on Deep Marine Collagen. Regular $110 for a 60 day supply, only at Pulse Studios can you get your hands on this supreme product for $95+GST. To get yours, check out our online store here. For more information on Deep Marine Collagen, visit their website. Daily workshops at Pulse Studios May 7-11, 2018. Register here. Pulse Studios dancers win Old to the New! 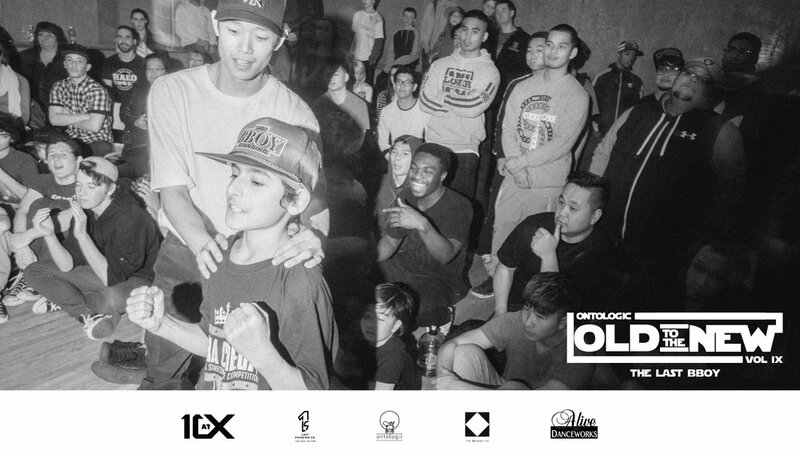 We are very proud to announce that Tago took home the win at Old the New The Last BBoy Battle presented by Ontologic. We also had the twins, Aaron and Jacob win in their category, under 12 in the finals! Congrats boys!! We couldn't be more proud to have you as part of the Pulse Studios family! Register your child in Eazy G's Beatboxing class here.